The first question I want to try to answer is 'Why it is important to take steps to actively remember victims of atrocities and violence?' After all these people were nor individually related to us as friends or family. Why do I think it's important we take active steps to remember them? I think we do have a duty to remember. I think gross injustice affects us as a society, as a whole, and the more the bigger the injustice. These terrible acts were perpetuated not by single individuals but by and against societies as a whole, with all the complexity that brings; and I think the only level at which we can properly respond is as a society, as a whole itself. Just as grief and mourning is almost essential on an individual personal level to move on from loss, so acts of social remembrance and exploration are the only proper response to mass loss of human life. And this is the only response we have left. Justice requires that we act to stop evil, and when we can not stop it to at least recognise it as evil. We didn't stop it, or we couldn't stop it, so all we can do to acknowledge something terrible and wrong happened to people and to remember, to bring them to mind, and make ourselves aware. I believe we also have a duty to remember, to honour their names, because, on a very real level, we live through other people. A real and large part of our existence, when we are alive, and continuing when we are dead, is through other people thinking of us, caring for us, remembering our lives and appreciating what we have done. Thinking of people brings them to life again, in the only way we can, insufficient as it is. 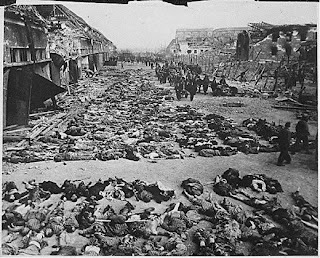 I think genocide, or any other act of mass murder or violence, is not only an attempt to kill people in the sense of ending their individual life. It is an attempt to erase them from the world, to take away everything they have been as well as what they are or will be; To make the world as though they never existed, only to be ever thought of, rarely, and if at all, as an extinct, forgotten shadowy mass. To actively remember those who suffered is to directly frustrate and undo the work of those who hated them so much in life. It honours their lives that were, in the same way we show respect to be people who are alive: by committing to them our time, interest and concentration. Then of course there's the obvious reason, so oft repeated as to become cliche: to prevent such a thing ever happening again. But because this is an, often failed, cliche does not make it any less true. Also because acts of violence never occur alone, but as the symptom of a complex process of mental and spiritual poisoning that stretches back long before,and can continue long after, the violence has been stopped and the bodies buried. This poisoning can and will continue unless consciously fought, and because it is buried deeply in men's psyche it requires a sustained effort to root out and prevent its return. So that is why I think remembrance is so important. The next question is how? Partly it's the black and white of these pictures. But mostly when I see images of what people have became there is a feeling of numbness. 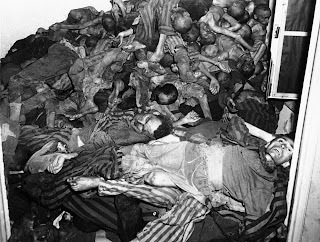 The mind recognises it is seeing something horrific, but cannot reach across to feel the loss of each individual, because so many malformed corpses just look like planks of wood. My brain cannot wrap itself round this like it should. Just like when presented with the numbers the response is blank shock, a certain unbelieving horror even when faced with the grim reality. But mostly a lack of feeling; somehow these bodies just don't really seem real and these numbers don't seem human. It is so far beyond anything we have experienced or can understand. Bits of the evil can even seem almost comical at times, with villains and schemes that just seem cartoonish. 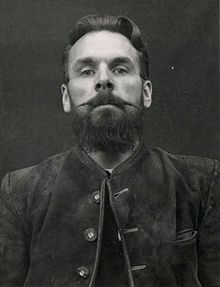 This silent movie villain of a man was Wolfram Sievers. And he was responsible for what is known as the 'Jewish Skeleton Collection', which sounds like a bad name for a rock band, but was in fact an effort during the Holocaust to scientifically document the supposed racial inferiority of Jewish people. The idea was to kill a number of people in controlled conditions and preserve their corpses so they could be displayed after the war, like "diplodocus skeletons" in a museum: a testament to the supposed physical inferiority of the Jewish race. They were worried that all the Jews would be exterminated, and so there would be no 'specimens' left. 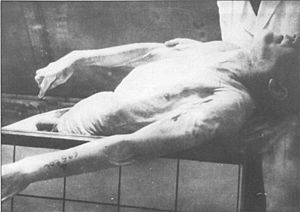 As such 86 people were selected for their perceived exaggerated racial characteristics, murdered with gas, and their bodies preserved. 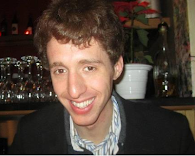 At first the photo just looks like another horrible waxwork. But then the details start to creep through. This man was Menachem Taffel. He was a dairy merchant in Berlin, he sold milk. He had a wife called Clare who was a year older than him and a daughter called Esther who was 15 and volunteered at a local nursing home after school. He was born July 21st 1900 in the Russian Empire, in 1938 he and his family moved in with his wife's parents and on August 17th 1943 he was murdered in a gas chamber in some god-forsaken Hell in what is now Eastern France. The night before he ate his last meal on earth: it was potato peelings. 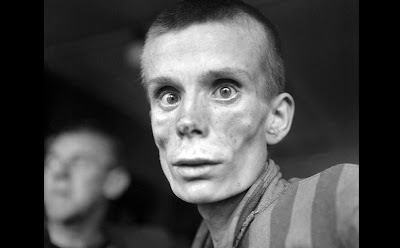 His wife and daughter were already dead, having been murdered on arrival at Auschwitz on 13th March 1943. And already for me the emotions have changed. I hear the name and read the scant details of an ordinary life and my brain moves from blank horror to connect with the reality that these were individual, innocent persons, with their own ordinary lives, virtues and foibles, whose lives were taken away, their hopes and dreams snatched from them. All at some madman's whim. This is Elisabeth Klein nee Thalheim. 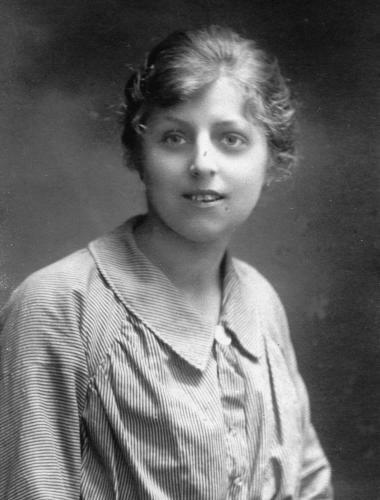 She was born in 1901 in Vienna, daughter of Saul and Karoline Thalheim. She married Koloman Klein on 6th January 1924 and moved to Belgium in 1938 with her mother, father, and husband to avoid the Nazi persecution. She was arrested, and later murdered in 1943, like Menachem Taffel, in Natzweiler, in a refrigerator room used as a crude gas chamber. Her husband had been arrested earlier in 1940 in Brussels and was murdered in 1942 in Auschwitz. She almost certainly never knew. She was another one of the victims of this particular small, noxious, macabre episode in such a large period of evil. When confronted with this image, with a name, and with these ordinary facts about ordinary people again my immediate emotional response is different. Instead of numb, almost unbelieving shock, my gut is heaving, my pulse starts to race, I feel both like I am going to throw up and suddenly unbelievably angry, and like I want to do something right now to make this evil not have happened. Please excuse the introspection. 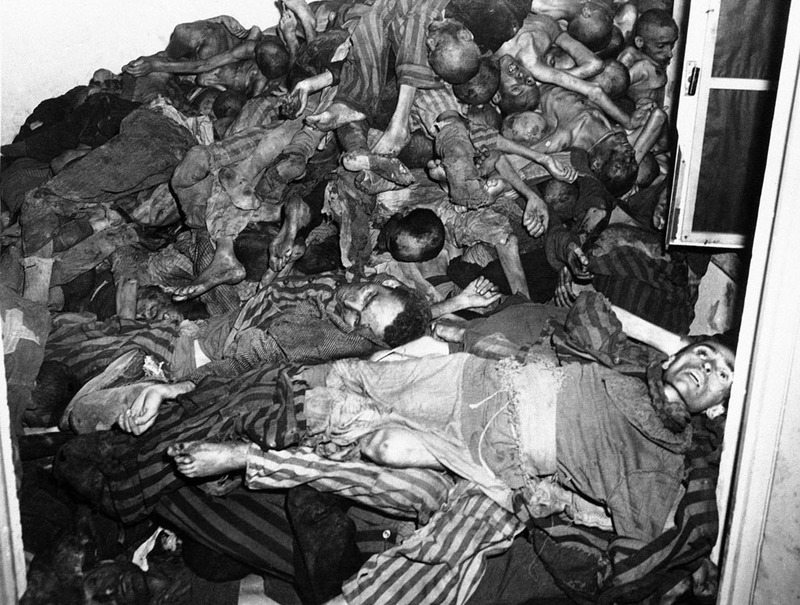 My point is that when we learn about people who suffered great evil as individual, living human beings with their own small and detailed lives, rather than as victims, or corpses, or numbers, the psychological response is totally different and much more powerful. When I just see piles of corpses it is easy just to feel shock. When I know who these people were, the inconsequential details about them and the ordinariness of their lives, it makes real empathy easier, because it sounds like the ordinary people who are part of my life, and not just like 'victims'. Then suddenly I feel burning, rising anger. And that is a very different response. This is the response of being confronted with an act of evil and injustice to a human being in front of me. Not the incomprehensible shock of something I know I reject but I cannot begin to really understand. That is an 18 year old Russian girl. But the face is so distorted by suffering and deprivation that it is barely recognisable as human, and so again when I look at that face I can't seem to manage the same reaction as when I look at that picture of Elisabeth Klein. But I start thinking of how pretty she must have looked before being imprisoned, when the face was not drawn by starvation. I think that she must had all the same thoughts teenagers had: the worries about making friends, doing well at school, attracting boys, what to wear, squabbles with parents and siblings, all the the same things we all had and seemed so important at the time. She had all that before she was torn away from that normal life by a horror no-one could have predicted or imagined. Only then can my mind really recoil in the horror and anger that I think is the proper response to this being done to someone. If we remember people only as they became and what was done to them we risk presenting them only as victims, which is what they were turned into; not human beings with lives and accomplishments, which is what they were. When we only remember that way I think we fail to properly consider them as human beings, and even, in a totally unintentional sense, view them in a manner similar to that their murderers viewed them: as statistics, as objects, rather than as individuals. Individual humans who are valuable not only because they are human but also because of all the things they achieved and did and were. Whether that meant they were doctors, bakers, pretty, Old, young, top of their class, lazy, businessmen, mothers, funny, kind, friends, postmen, shy, athletic, tall, sad, musical; and all the other list of features and qualities that make up actual human beings. There are, I think, two parts to this. The first is that presenting these individuals as the people they were with the lives they had, rather than just as the victims they were turned into, is a more effective and whole way of enabling people to make the emotional connection to what happened to them (as I have described myself going through above). Not just in a detached sense, but in visceral, emotional sense. The kind of emotion that can reach across differences of decades and continents and sparse knowledge, and that drives and motivates us to not just recognise something as wrong but to act against it. The second part relates to what I said at the start that in a real way we all live partially through how and whether other people think, act and feel about us. And because one of the purposes of democide was to erase people from existence in the widest sense, as much as biologically kill them. To remember people as they were, rather than as what they were turned into, feeds into both of these points. By remembering the people they were before evil overtook them we undo, in a horribly small and horribly insufficient, but still real sense, and the only one we have, what their murderers tried to do to them. Remembering them as who they were is an act of defiance. This girl really illustrates what I mean. 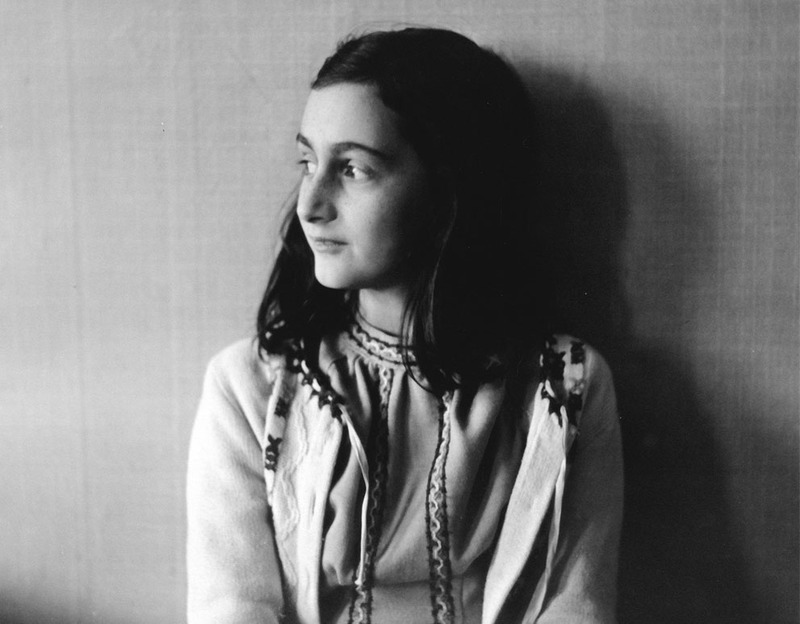 Anne Frank's diary is world-famous, though she never meant it to be. And I have always thought it was one of the most important and powerful historical accounts we possess. This is not only despite but because it does not make any direct description of the historical events that surround it, rather it is the intensely personal account of a teenage girl with literally nowhere to go, with all its moments of boredom and pettiness and personal selfishness. And as such it makes Anne the most unavoidably human, and hence unbearably poignant, victim of the Holocaust. Anne's book contains nothing of her tragic fate; It obviously ends without warning the day before her family were captured. And in fact we know almost nothing about her time after arrest, and how she died, certainly nothing to the richness of the account of her life. And so despite what was done to her she will always remain the pretty, gawky, adolescent girl she was first, who is recognisable across the world. "Anne's life and death were her own individual fate, an individual fate that happened six million times over. 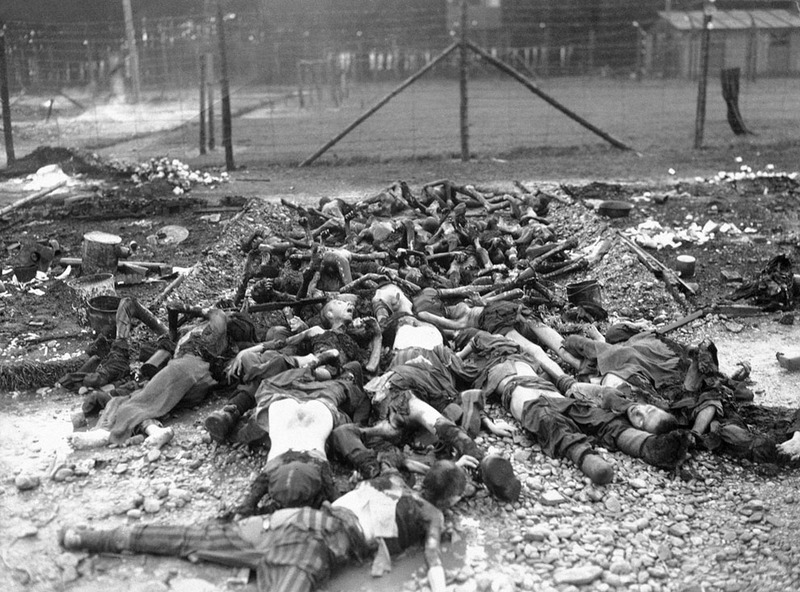 Anne cannot, and should not, stand for the many individuals whom the Nazis robbed of their lives ... But her fate helps us grasp the immense loss the world suffered because of the Holocaust." What individuals stories can do is give us a window that reveals at least a tiny part of the totality of loss properly. What I believe is needed, in exploration and remembrance, is a holistic approach that takes in all these elements: the total, the individual, the before and the after of people's lives, rather than gets distracted into any one of these features. And this is becoming ever more important in our current time, as we reach the point where the last living survivors and eyewitnesses of the Nazi terror are dying and the events slipping out of living memory and into history. So it becomes so much more important to think in a structured way now about how we can keep the understanding of what happened alive in our society, and communicate it to each new generation. Especially as in my young life-time the number of genocides and democides around the world tragically continues to increase: Yugoslavia, Rwanda, Sudan, Syria. Each of these further tragedies is a testament to fact we have not, as a world, learnt the lessons of the Holocaust; but each act of evil itself must be considered holistically, as its own unique event. Each one hence also raises its own unique questions about the proper means of remembrance and awareness, though I believe the points I have outlined here also apply. In general though, I am a historian, and so I guess biased, but I really believe that only by knowing the past and understanding the past. Only by keeping faith with those who died before us can we hope to understand our present situation, where it has come from, and where it might go, and lead our world into a better future. In this article I use examples taken from the appalling story of the 'Jewish Skeleton Collection'. This was one small story within the tragedy of the Holocaust that particularly touched me, including the image of Menachem Taffel, who for decades was the only identified victim due to the photo above.